Eiffage Energía has just acquired the company Electromedical, authorised by the Nuclear Safety Council for sales and technical assistance of X-ray equipment for medical diagnosis. 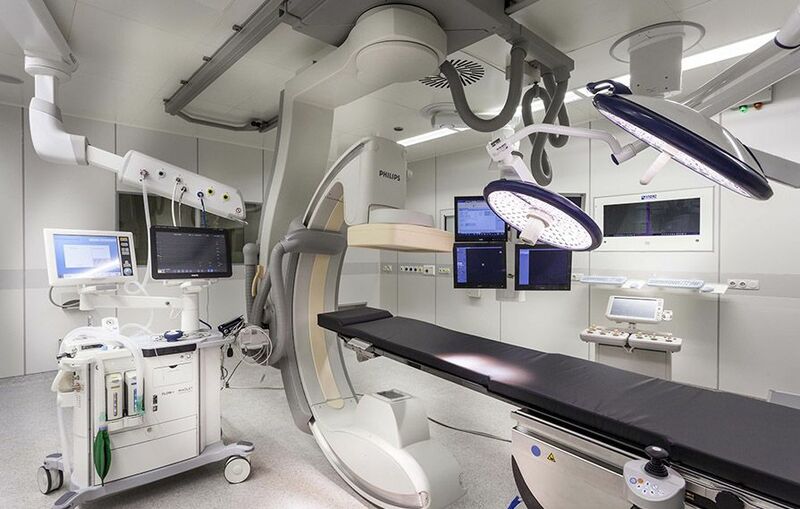 An operation that strengthens Eiffage Energía’s activity in the Electro-medicine area. In this way, the Eiffage Energía Group remains committed to continuing specialisation in the biomedical engineering sector, contributing to better respond to the needs of health centres. An activity that Eiffage Energía is developing in Spain, through its trademark Biomedical, which has more than 200 highly qualified professionals, including engineers and technical specialists with extensive experience in the sector. The company Electromedical, founded in 1988, operates in the marketing, distribution, installation and maintenance of electromedical diagnostic imaging equipment, such as fixed and portable ultrasound scanners, digital radiology, X-ray rooms, mobile RX equipment, high frequency RX generators, analogue and digital mammography, remote controlled tables, CT scans, bone densitometry and surgical C-arms. It is authorised by the Nuclear Safety Council, for sales and technical assistance of X-ray equipment for medical diagnosis. Eiffage Energía is a large company specialised in electrical infrastructures, installations, maintenance, renewable energy, electro-medicine, civil works and construction, with more than 40 offices and a workforce exceeding 3,250 employees, 850 in Castilla- La Mancha and of those about 750 in Albacete. It also has nine subsidiaries, four international and five based in Spain. On the one hand, Eiffage Energía Chile, Eiffage Energía Mexico, Eiffage Energía Peru and Eiffage Energía Jamaica and, on the other hand, Ambitec, Inelbo, Conscytec, EDS and the newly acquired Electromedical in national territory. Backed by a group with over 170 years of experience, a presence in 5 continents and more than 65,000 employees, Eiffage Energía has become a national and international benchmark, offering a 360º comprehensive service.